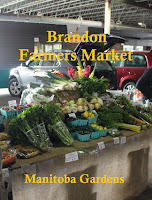 I met Brenda Newton last year, at the Brandon Farmer's Market when I purchased some delicious grapes from her. I recently had an opportunity to talk to Brenda about her involvement with the farmer's market, as well as her many other endeavours. 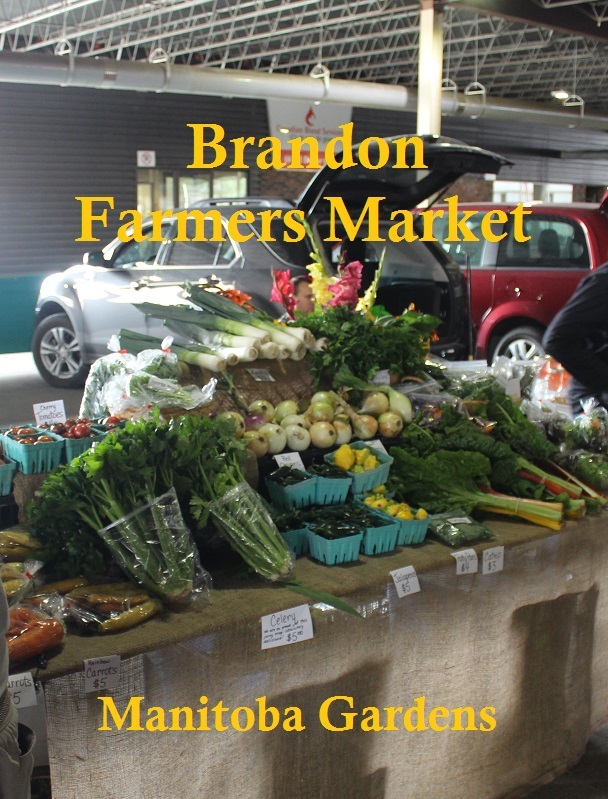 The Brandon Farmer's Market was founded in June 1977, in Brandon, MB, and runs year round in the Town Centre. 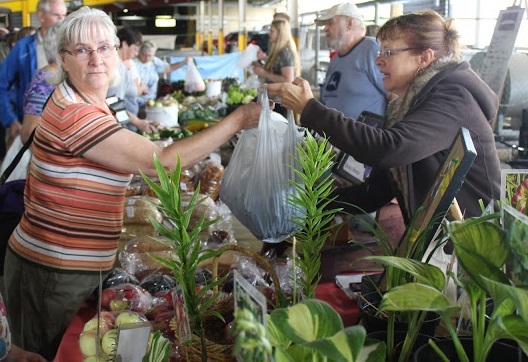 From mid June until early October, the Farmer's market is set up in the parkade every Saturday from 9 am to 12 noon. During the winter months, from October until June, the market is held inside the Town Centre on Fridays from 9:30 to 4 pm. 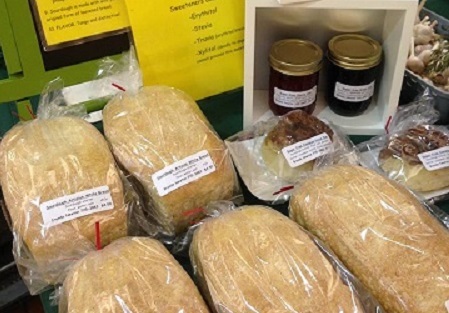 The Market has many local vendors who offer a variety of products, including seasonal produce, crafts, honey and honey products, perennials, flowers, baking, jams and jellies and canning. Brenda's participation at the Farmer's Market began 15 years ago when her mom and sister had vendor tables there. She would bring extra raspberries and strawberries from her garden, and include them on the tables. She has now been a member, with her own table for 10 years, and is on her second term on the board, as treasurer. As a vendor, Brenda participates in both the winter and summer markets. In the winter she brings jams, jellies, and homemade sourdough bread; both white and whole wheat. For the whole wheat bread, she grinds hard red spring wheat berries and uses the flour in the bread. She uses the white sourdough to make loaves of bread as well as sugar-free cinnamon buns. It's a two day process to make sourdough bread, as there's no yeast or sugar in it, just flour, salt, water and the sourdough starter. Brenda states that she does not use artificial sweeteners like Splenda, but rather chooses the natural sweeteners that are made from plants; Xylitol, erythritol, and Stevia. She makes a blend of those three natural sweeteners. 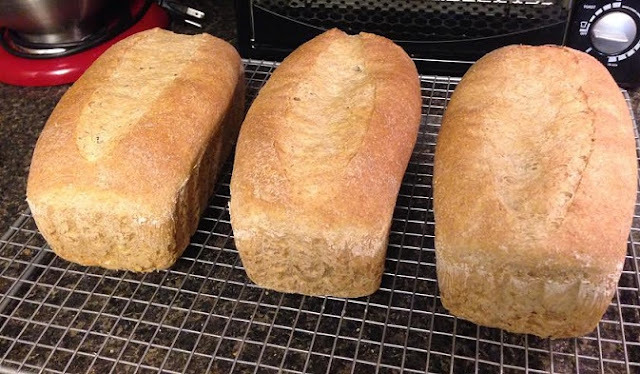 The sourdough bread is great for anyone who is diabetic, but also anyone who chooses to eat without sugar or is trying to cut back on the sugar intake. These same natural sweeteners are used in her jams and jellies. 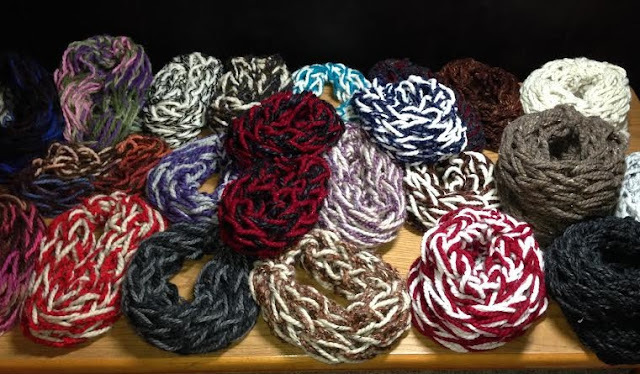 Brenda also makes beautiful arm knitted scarves for the winter market. 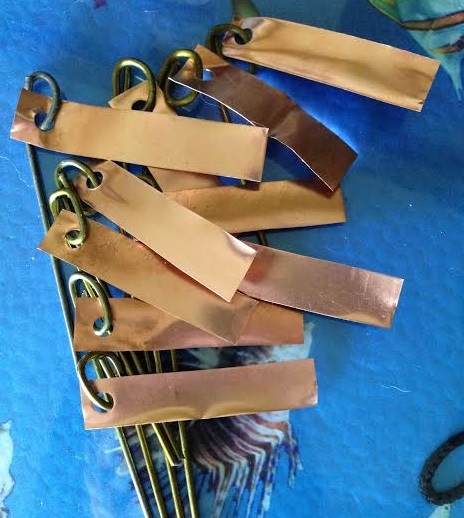 Another product that Brenda brings along to the market is copper name tags for labelling plants, whether for your indoor plants or for permanently labelling outdoor perennials. 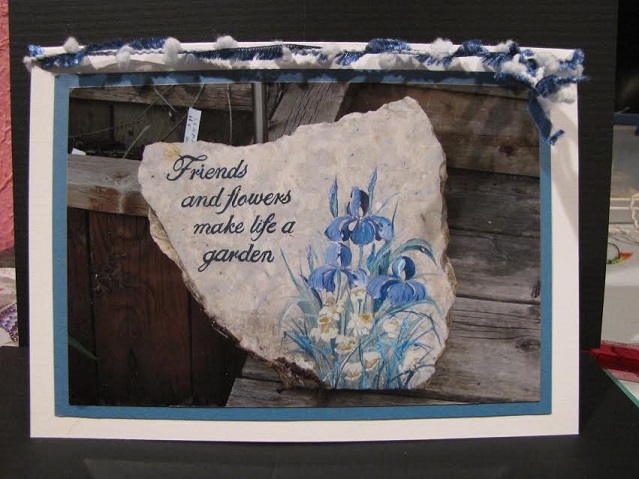 Brenda also loves taking pictures of her flowers, as well as animals, landscapes, and nature. She makes these into cards, leaving the inside blank so people can add their own greetings. This is one of her creations below. Come spring and summer Brenda says she'll start dividing perennials out of her yard. These are just some of what she has had to offer at previous markets. 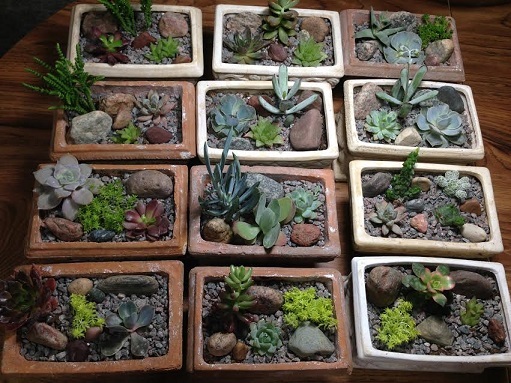 I love these succulent arrangements Brenda makes! Mine didn't survive our last move, so I'll be going to the Farmer's Market this spring to get some replacements! 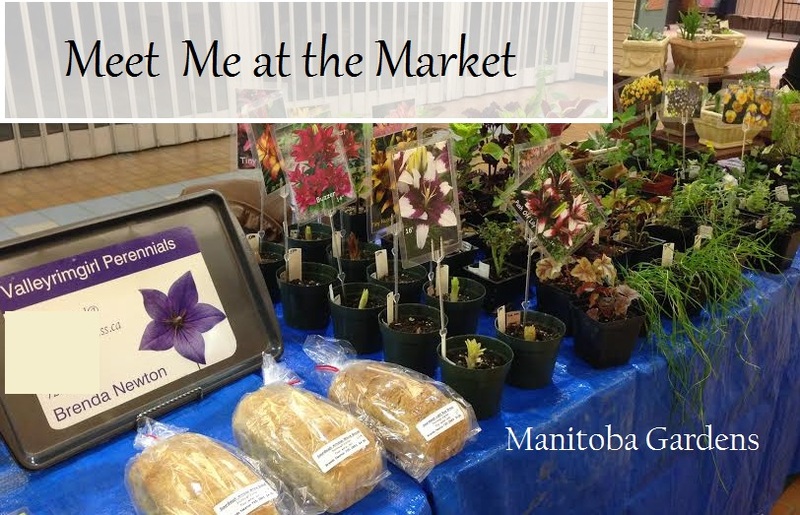 Apples, plums, grapes, and cut flowers are some of the other items you might find on Brenda's table at the summer market. 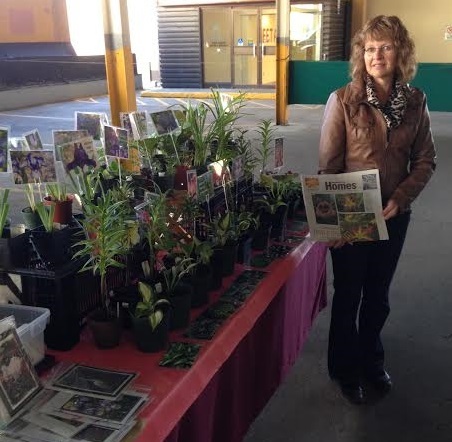 Brenda encourages everyone to 'like' the FP page for the Brandon Farmer's Market. Better yet, come on out and see what the many vendors have available. 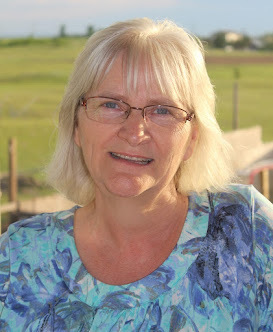 Besides keeping busy with the Farmer's Market, Brenda is a sought after speaker at many venues; from here in Manitoba, to Saskatchewan, and Ontario, even down to North Dakota. Brenda says she is usually available to present at an event as her schedule is pretty flexible. 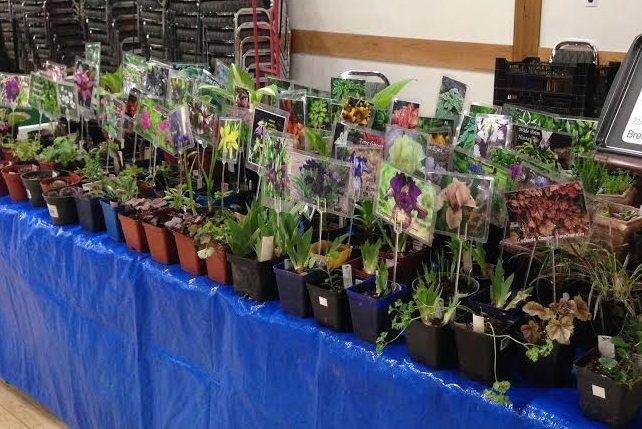 She has spoken at gardening club events, fundraising, and recreational events. 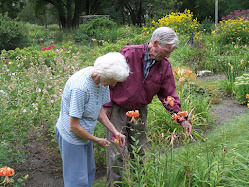 Manitoba is part of Region 1 of the AHS ( American Hemerocallis Society), along with Iowa, Minnesota, Nebraska, North Dakota, and and South Dakota. Brenda has enjoyed attending several regional conventions in Minneapolis, and plans to attend the 2018 convention when it will be held in Bismark/Mandan. Brenda has 500 named varieties of daylilies, and enjoys hybridizing with them. She has 700 seedlings, each unique. Some of these will be available for sale this summer. in an article written by Colleen Zacharius. 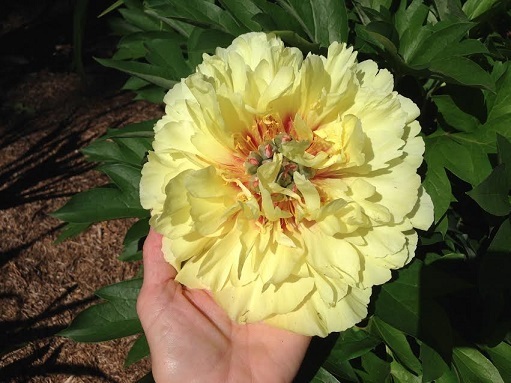 Brenda's latest speaking engagement was at the Manitoba Horticultural Association Convention in Killarney, where she shared her knowledge and expertise on the Itoh Peony. On March 28/17, Brenda will be in Winnipeg at the 10th Annual Gardening Saturday, where she'll be doing a presentation on hostas. It will be held at the Victoria Inn Hotel and Conference Center on Wellington. Thank you, Brenda, for allowing me to interrupt your jam making! 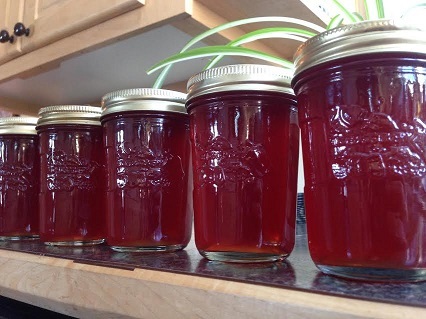 Saskatoon jam...sounds yummy! 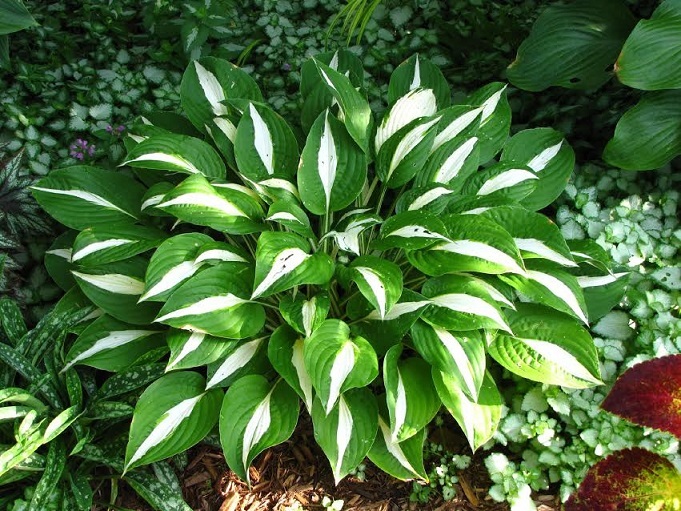 To learn more about Brenda, and see some beautiful photos of her many hostas, daylilies, and other perennials, you can visit her website, Valleyrimgirl. Very informative. I have also met Brenda at the farmers market. Trying to remember what I bought and where I planted it. Brenda and dad would have gotten along!